Find your matching system quick and easy. The Boost Cooler Water Injection kit allows you by active cooling of the combustion to increase the boost pressure and ignition timing safely and without exposing the engine higher thermal load. Power losses at higher ambient temperatures are greatly compensated. 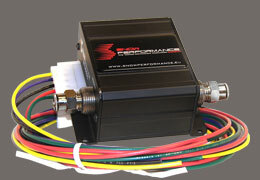 Water Injection also reduces the specific fuel consumption as also lowers the exhaust gas temperature (EGT). Especially with already tuned engines, the thermal load is considerably reduced and prevents knocking combustion. When injecting a 50/50 mix of water-alcohol the effective octane of your fuel will increase approx. 20-25 points. Turning ordinary 95 octane pump gas to 116 Race Gas Quality fuel. 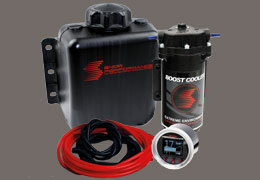 The Boost Cooler Water/Meth-system is compatible with NOS, LPG/Autogas and bioethanol (E85) applications. 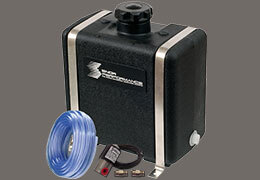 Are you a dealer or have a workshop and interested into our original Boost Cooler water injection kits? Register today as professional partner for the Snow Performance products and take advantage of our special dealer packages and attractive conditions.